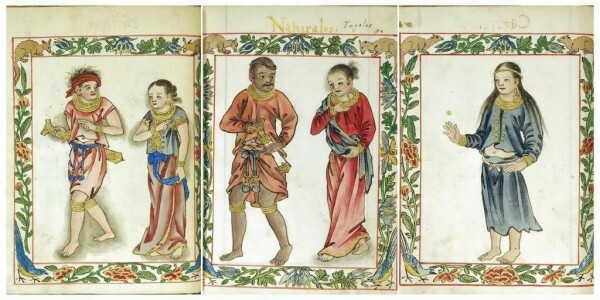 Illustrations of the ethnic group in the Phiilippines in The Boxer Codex. TO students studying history in primary and secondary schools, history can be a very dry subject. To them every fact, every date, and every opinion have already been locked in place. Their task seemed to be to memorise and regurgitate them during examinations. But history is not like that. Even though it gives the appearance and the impression that everything is already known, it is not so. Below the surface, everything is still moving and in some cases fast flowing. The facts of history can change anytime. Some facts changed through some documents which have only been unearthed recently, or through some artifacts which have just been discovered. There is constant movement in establishing historical facts. This is so much so that even historical ‘facts’ such as the Brunei Royal Genealogy Table which more or less was settled by the 18th century through the written ‘Salasilah Brunei’ faced changes when an unlisted Sultan Abdul Majid Hassan’s tomb was discovered in Nanjing, China in 1958. Brunei is such an old kingdom that there are probably more facts that needed to be discovered before the history of Brunei can actually be finalised. Professor BA Hussainmiya, a former historian at UBD once wrote that “to write a history of the ancient past one requires a variety of primary sources ranging from archaeology, epigraphy, inscriptions, travellers’ tales, chronicles, numismatic etc”. Unfortunately for Brunei, most of our documentations are lacking as we lack the suitable materials to keep long lasting records. We are very much relying on archaeology and tales such as Syair Awang Semaun but for documentation, we are relying on documents generally written by non-Bruneians thus far. So these documents are the only ones through which we have been establishing our Brunei ‘history’. While many documents have been found but many more could lie lurking in libraries around the world which may have a profound effect on our history. One such document discovered in 1947 is only beginning to make its impact. A historian by the name of CR Boxer came across an anonymous, undated manuscript with a missing title page that an auction catalogue has described as a curious 18th century work on Asia. The manuscript belong to Lord Ilchester. The manuscript was among what remained in his collection when his estate, Holland House in London was bombed by direct German shelling on September 27, 1940 during the Blitz at the height of the Second World War. Professor Charles Ralph Boxer, a historian and an authority on the Far East, thought the document looked interesting and placed a nominal bid for the document. He actually won the auction with that nominal bid. It was several weeks later before that document arrived at his house. When Professor Boxer received and opened the mail, he realised that he had a late 16th century work which was so beautiful that it could easily have been owned by someone who are important enough to receive such beautiful and colourful work. In 1965, the Professor sold this manuscript to Indiana University's Lilly Library. Rebecca Cape and Stephen Cape writing in ‘The Friends of the Lilly Library Newsletter 23’ (Fall 1994) described the manuscript dating from the late 16th century and containing about 270 pages of text, written probably by a Spanish and possibly by a Filipino clerk, and drawn from a variety of sources. 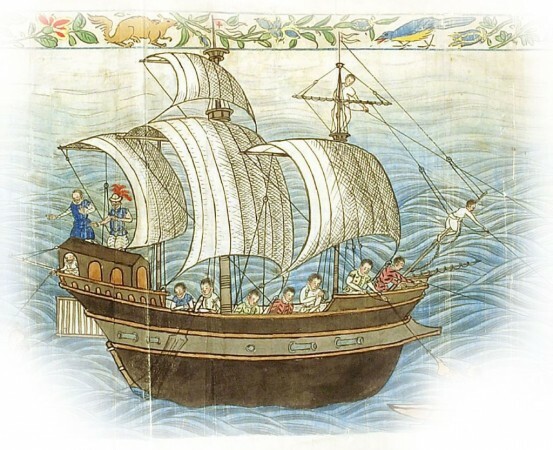 There are also seventy-five coloured drawings of the inhabitants of China, the Philippines, Java, the Moluccas, the Ladrones, and Siam; eighty-eight smaller drawings of birds and fantastic animals; and a double-fold drawing depicting a Spanish ship off one of the Ladrone islands surrounded by the small canoes of the natives of the island. The text of the volume consists of contemporary accounts describing these places, their people and customs, and the European contact with them. What is interesting to us Bruneians, is that, there is one standalone chapter on Brunei. According to Alfredo R Roces writing in the ‘Boxer Codex’ (1977), it is believed that the original owner of the manuscript was Luis Pérez Dasmariñas, son of Governor General Gomez Perez Dasmarinas, who was killed in 1593 by Sangleys or Chinese living in the Philippines. Luis succeeded his father in office as Governor-General of the Philippines. Since Spanish colonial governors were required to submit written reports on the territories they governed, it is likely that the manuscript was written under the orders of the governor. Professor Hussainmiya (2013) wrote that the authors of the Codex have not been identified. It is attributed to various persons including Gomez Perez Dasmarinas, Governor of the Spanish colony in the Philippines 1590-1593, or his son Luis. Both of them sailed from Acapulco in Maxico on a Manila Galleon in 1590. Since the manuscript explains Islam without condemning it, Professor Hussainmiya theorised that the author perhaps was a high-ranking Spanish secular official who had no apprehension about the Holy Inquisition. According to Carlos Quirino and Mauro Garcia (1958) who translated the parts about the Philippines, the manuscript was the work of Antonio de Padua, a soldier-turned priest, but the calligraphy seems to match that of Juan de Cuellar, a soldier who became the secretary to Perez Dasmarinas. The Brunei sections were written around 1588 and 1589. This is about 10 years after the Castille War in Brunei when the Spanish Forces came to Brunei and burnt down Brunei’s magnificent five-storey mosque situated close to Kota Batu. The manuscript now known as the Boxer Codex was in fact a Spanish language manuscript containing vivid historical descriptions of many parts of Asia including Japan, China, Formosa, Luzon, Panay, Cebu, Mindanao, Sulu, New Guinea, Java, Sumatra, the Malay Peninsula, and other places and not the least on Brunei. Boxer translated part of it about China in 1953. But the writers probably would not have been able to witness all the things so realistically described in the Codex. It is likely, therefore, that the Brunei part was written by someone who had actually lived in Brunei for a longer period of time. Tom Harrisson, the former Curator of the Brunei and later Sarawak Museum in 1960 took a special interest on the Brunei section in the folios from 71-86 of the manuscript and asked John S Carroll to translate and publish it in English which was done in 1982 when it was published in the Journal of the Malaysian Branch of the Royal Society (JMBRAS). John S Carroll noted that to his knowledge, no other extant document tells so much about Berunai (sic) in the late 16th century. He theorised that the Brunei component is the work of a Malay-speaking Tagalog residing in Manila, a trader who had visited Brunei as recently as 1589. It was known that as early as 1578, Governor de Sande interrogated Muslim Tagalogs from Balayan to Luzon who had been in Brunei. Like the imperialist Sande, Governor Dasmarinas also would have wanted current information about trade and the potential enemies and allies of Spain, and perhaps the Boxer Codex was a notebook compiled for him by Cuellar for that purpose. 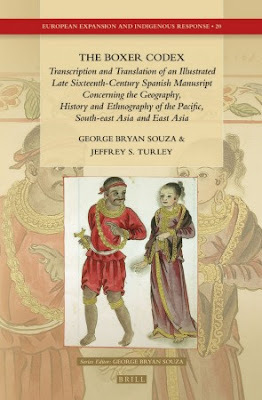 The entire Boxer Codex including the Brunei chapter has also now been translated and published in a book form entitled ‘The Boxer Codex: Transcription and Translation of an Illustrated Late Sixteenth Century Spanish Manuscript Concerning the Geography, Ethnography and History of the Pacific, South-East Asia and East Asia’ by Jeffrey S Turley and edited by George Bryan Souza and Jeffrey S Turley and published this year (2016). Professor Hussainmiya (2013) noted that despite the English translation being available, not much attention has been given by local scholars to the contents of this published manuscript despite its invaluable insights into the old Brunei kingdom. The codex highlighted among other things geography, history, law, religion, government, protocol, commerce, weapons and calendar of Brunei. This is the first of a two-part article. Part two will be published next Sunday.